Golf is considered to be one of the most difficult sports to master at a high level. It’s a game that requires discipline, training and dedication. For UT sophomore Kiira Riihijarvi, it’s safe to say she was born to play golf. 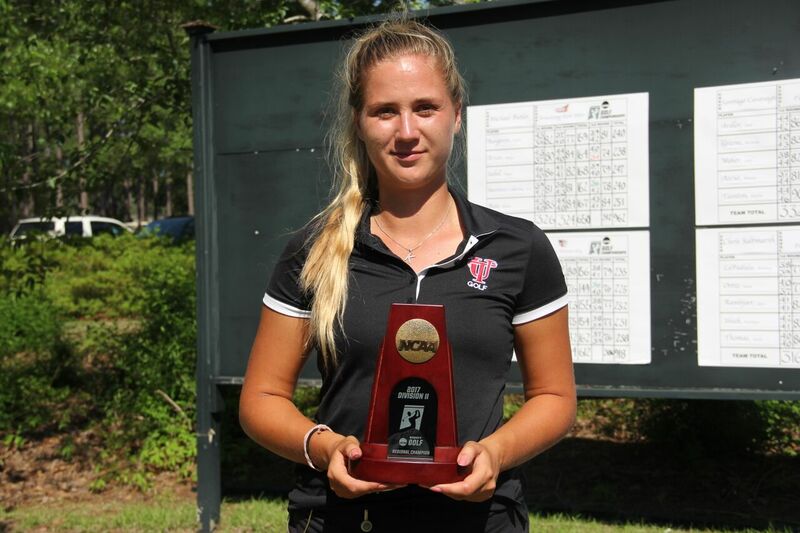 Riihijarvi was honored as a Women’s Golf Coaches Association (WGCA) All-American after her first season at UT. The Finland native finished the 2016-2017 season with four top 10 finishes. Because the sport can be challenging at times, Missey Jones, head coach of Women’s Golf said that Riihijarvi’s is an enormous feat. Jones has been a coach at UT for the last seven years, having over twenty-eight years of coaching experience between women’s basketball and golf. She became the first head coach of the women’s golf team in 2010. She said a player with Riihijarvi’s caliber does not come around often. Riihijarvi has been playing golf for the last 10 years. It’s always been something that has been a major part of her life, she said She has spent her offseason at home in Finland improving her game each day as the 2017-2018 season is right around the corner. According to Coach Jones, as the pressure intensifies, Riihijarvi still finds a way to perform at a high level. With sports and academics sometimes becoming a conflict in a student athlete’s life, the difference between a successful student athlete and a under-achiever is balance. A high-level player like Riihijarvi knows how time consuming golf can be. With her UT career just beginning; Riihijarvi is already looking ahead to the future. She plans on becoming a professional golfer once her collegiate career is finished. As she continues to practice each day for the upcoming season, Riihijarvi will look to show the rest of the SSC conference why she was named an All-American as a freshman.